Mumbai: Drug retailer Religare Wellness Ltd is close to buying Bangalore-based LifeKen Medicines, the pharmacy chain of Lifetime Healthcare Pvt. Ltd, for at least Rs6 crore, a person familiar with the development said. Lifetime Healthcare’s key promoter Pranabh Mody said that his company was in talks with potential partners to raise money but hadn’t concluded a deal with any. With about 70 stores, primarily in Bangalore, Chennai and Hyderabad, LifeKen is the second largest pharmacy chain in south India after Apollo Pharmacy, a division of Apollo Hospitals Enterprise Ltd, which has at least 740 stores. New Delhi-based Religare Wellness, formerly Fortis Healthworld Ltd, is part of Religare Enterprises Ltd promoted by the Singh family that promoted Ranbaxy. Delhi-based law and accounting firm Ravi Rajan and Co., which advised Fortis HealthWorld when it bought pharmacy retail chain CRS Health, is advising Religare on the LifeKen deal, the person said. A Religare official familiar with the negotiations said the company had completed all formalities for the acquisition. He declined to be named ahead of a formal announcement. A Religare group spokesperson declined comment. LifeKen will be the second acquisition by Religare Wellness in the domestic market after it signed a Rs14 crore deal in August to buy up to 90% stake in Delhi-based CRS Health, which was owned by SAK Industries Ltd. CRS had around 30 pharmacies at the time. Although several companies operate in India’s still-nascent drug retail space, the business hasn’t really evolved because of issues ranging from high real estate costs to the lack of trained manpower to staff stores. Both CRS Health and LifeKen had expansion plans. CRS Health, which attempted to introduce services such as prescription reminders, home delivery and well-being events such as blood pressure camps and sugar tests, said at the time of its launch in 2003 that it aimed to have at least 150 stores by 2008. LifeKen, which bought Pill and Powder, Bangalore’s first retail pharmacy chain with 11 stores, for an undisclosed sum in 2006, had planned to expand to 700 stores in three years. 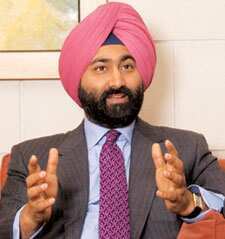 Religare is expanding across its portfolio, from financial and technology services to drug retail and diagnostics, after promoters Malvinder Singh and Shivinder Singh sold their stake in Ranbaxy Laboratories Ltd to Japan’s Daiichi Sankyo Co. Ltd for around Rs10,000 crore in June. Religare Wellness has around 40 stores in north India, primarily in the National Capital Region, and plans to expand to at least 100 cities in the next 18-24 months. In August, Mint reported the drug retailer would buy up to two retail chains in south India to expand to about 150 stores in the country by close of 2008.